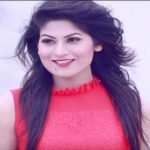 Maria Nur is a beautiful presenter and model in Bangladesh who comes to timeline around the country with the Ekhanei.com TVC. Now, she is one of the most popular presenters in Bangladesh, mostly anchored sporting programs on the television. Maria becomes a dream girl with a very short time for her excellent presentation quality and beautiful look. Maria Nur was born on March 21. Sporting was her passion since early life and dreamed of working with sports. She also was passionate about media and fashion from childhood. Maria is a well-educated celebrity in Bangladesh, completed Honors and Masters in Accounting from Dhaka City College. She also received a diploma in Fashion Designing from Shanto-Mariam University. If she didn’t build up a career in the media world, she would have been a fashion designer. 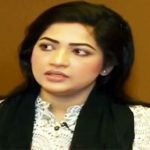 Maria Nur started working as a presenter in Bangladesh Betar and Bangladesh Television in early life. After completing HSC, she wanted to be an RJ and started working as RJ in ABC Radio. She continues the profession from 2009 to 2013. Maria made debut as a video jockey with a travel show ‘Circle the Globe’ in 2013. She gained huge acclamation for her first commercial TVC of Ekhanei Dot Com where she played a role as Yashna and started modeling. Maria already presented various television program including sports. Cricket Extra is her one of the popular television program about cricket, with this program she gets huge popularity and admiration. Maria’s has a huge affection about cricket that’s she loves to anchor cricket program. First of all, Gazi TV offered her for presenting World Cup T20 program, finally anchored some program during the T20 World Cup 2014. Basically, she presents program during the game of Bangladesh cricket team. Maria also acted in some dramas. She wants to be female cricket commentator, if though it is a rare case in the history of Bangladesh. I am a biiiiig fan of maria nur…and i also wandered after read her biography……. She is also a beautiful lady……??? No biography of non-media people?